Imagine how you would feel after a tornado hits your town, but your home was untouched. You would feel amazing, blessed even. Now imagine coming home the next day, only to find a demolishing company demolishing your home before realizing their mistake! Now how would you feel? Not too happy. Well this is what happened in Rowlett, Texas last week. Home owner Lindsay Diaz came home that Tuesday to find her home being mistakenly demolished. “Boom. 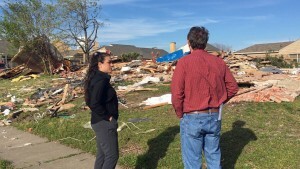 Just like the tornado came through again,” home owner Lindsay Diaz says. 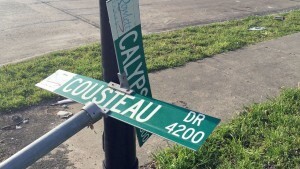 The house that was meant to be demolished was the house on Cousteau Drive, which was a block over. To make matters worse, when Diaz called the president of the company that demolished her home, he started making excuses! Nabors CEO George Gomez said the crew that was assigned to the project thought they tore the correct home down until they realized otherwise. He later said the situation was “no big deal.” There seems to be no sympathy for their mistake or for the effects on the Diaz family because of this mistake. Diaz says there hasn’t been an apology for their mistake since it happened. Now they have to look to rebuild their home.